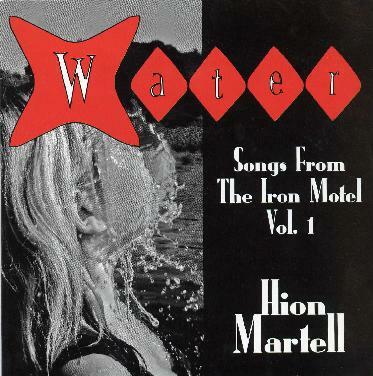 Hion Martell - "Water - Songs from the Iron Motel Vol. 1"
Hion Martell and the Undercover Cops have been making music since 1993 and this is the bands sixth release. The band is a 6 piece that plays pretty much straight forward happy rock and roll. I am sure these guys go down well in the bars in the countryside in Sweden. The title track of this 4 track EP, Water, is a quite commercial track with all the slightly bluesy rock cliché's, including a chorus repeated about 600 times in 4 minutes. Not very interesting. God Damned Good Band, again is basically bar rock and roll with a commercial hint. Rock Me Up is really going for the 80's hair rock style. Ugh. New Guru Shuffle is the only track that I found interesting in any way. This is more a down and dirty blues rock track that I thought was pretty cool with the sample and nice piano. Forget the rest. For more information you can visit the Scarilla Music web site at: http://www.scarilla.net/hionmartell.